300 metres East of Moe Railway Station you start on this trail (a little gravel track at the corner of Bennet St & Narracan Drive (50 metres east of that awful roundabout/railway bridge). 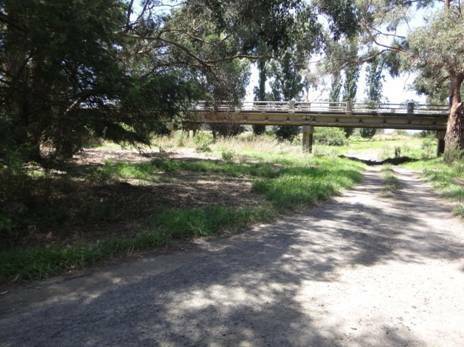 Why the trail has been allowed to overgrow under that bridge IS a mystery: the old line clearly continues to the station car park, but…Latrobe Shire!). You set foot on it, and suddenly you are in the country (sheep not 300 metres from Moe railway ststaion!) 8.5 km later you exit it amid a park full of ancient pine trees right on the Latrobe River bank (campsites) right beneath Yallourn PS’s majestic cooling towers. Cross the river on the bridge, turn East onto the Yallourn-Tyers Rd for a couple of kms, then turn North onto the first gravel road, into the bush! Great views of the valley from the top of the hill. East at the next intersection, then North at the next and you are at Wirilda Park (swimming, camping, toilets) ready to begin the Wirilda Track, five hours along the lazy Tyers River (campsites) – and onwards to Lilydale in @ 10 days time! Next (resupply) stop Erica/Walhalla. If you are not going to (quite) make it to Wirilda, on the first day, you can (alternatively) camp at Tom’s Bridge (on the Latrobe). The same would be true if you had begun your journey by walking out of Morwell on Latrobe Rd.The shortest route from the Gippsland Rail Line to Wirilda is out of Traralgon. There is a beautiful park (camping not allowed – good luck with that!) 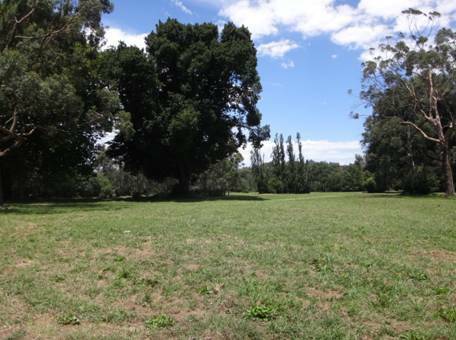 on the banks of the Latrobe River just after you cross it (on the West side of the road) called Sandbanks Reserve (acres of beautiful mature oaks, no toilets). You can avoid the township of Tyers if you wish (and get off the busier main road) cutting off a couple of kms, by turning West into Archbolds Rd, thence North into Littles Lane, then West again into the Tyers-Yallourn North Rd…Again, See Rooftop’s ‘Adventure’ Maps: Yarra Valley-West Gippsland & Walhalla – Woods Point. Note: Yallourn North & Tyers both sell alcohol, groceries and take-away food.